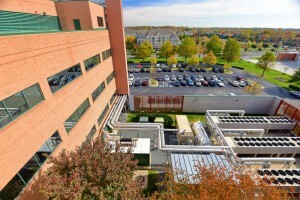 Industrial louvers offer tons of unique benefits to commercial properties. There are many options for securing the perimeter of a commercial property, but few offer the specific advantages of industrial louvers. Gated fences are a typical go-to and there’s good reason for that: they’re very good for specific circumstances and needs. However, there are many unique benefits that industrial louvers can offer businesses as well. If you’re concerned about keeping your commercial property secure, consider industrial louvers as a potential option. Typical fences don’t offer much privacy. In fact, that’s why many people look into them—they leave a space feeling open and accessible. On the other hand, louvers are a fantastic way of really closing a space off. This is ideal for commercial properties in mixed developments where houses may be. It’s also great if you need to separate yourself from other businesses. Lastly, privacy is important in certain industries. If any of these possibilities are part of your situation, industrial louvers may be the best option. Privacy is one part of a bigger concept: security. There are few options as good as industrial louvers for creating a secure atmosphere. Some kinds of fences are easy to get over simply by climbing them, which leaves a huge vulnerability to you and your property. On the other hand, louvers are made in such a way that makes scaling them incredibly difficult. If your company’s property contains anything valuable, like important data, expensive goods, money, or other valuables, keeping thieves away is a necessity. Security is becoming rampantly more important for businesses all over the world and while there are many forms of securing a property, there’s no doubt that industrial louvers are one of the best options out there. When it comes to setting up a perimeter around your property, there’s one main factor that you need to worry about, and that’s whether or not it works when you need it to. No one wants to deal with regular maintenance, especially when not performing that maintenance can impact things like privacy or safety. Industrial louvers are often built with aluminum, which needs little to no maintenance beyond making sure that your landscaping isn’t growing over it. That’s a small cost for keeping your property safe and secure! This entry was posted on Friday, September 28th, 2018	at 4:10 pm	. You can follow any responses to this entry through the RSS 2.0 feed. Both comments and pings are currently closed.